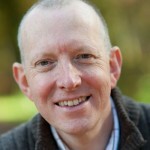 Tony is a very experienced speaker in a wide range of contexts from small groups through to international conferences. Subject matter ranges from engaging with popular culture (especially film and literature) through seminars on science or postmodern philosophy to Bible teaching. He is able to engage with both Christian and secular audiences. As both a teacher and a trainer, he aims to help people learn in a variety of styles: multimedia, interactive workshops, facilitating learning through small groups, mentoring individuals, formal lectures, etc. Tony started preaching in churches as a late teenager and has since been involved in a wide variety of up-front roles in many different contexts. Several years as a secondary school teacher gave him a good grounding in engaging the attention of an unwilling (sometimes even hostile!) audience. His five years as a staffworker with UCCF (Universities and Colleges Christian Fellowship) gave him the opportunity to develop his skills as a trainer as well as in teaching. He gained invaluable experience of speaking in a number of cross-cultural contexts during his eight-year leadership of the Congregational World Assembly of Youth, and subsequently in other contexts. Since joining Damaris in 1996, Tony has developed his skills in helping people learn through interactive multimedia workshops as well as in more traditional teaching and training styles. For information on how to make a booking, click here.